According to the news outlet Axios, President Trump is considering appointing Congressman Mark Meadows of North Carolina to be his next Chief of Staff. He could not make a better, or more timely, choice. 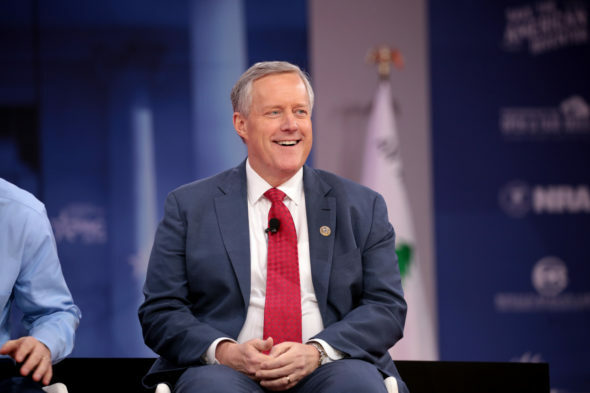 Rep. Meadows currently chairs the House Freedom Caucus, which is made up of that chamber’s most principled conservatives and strongest supporters of the President. While Mr. Meadow’s leadership would be missed in the coming Republican minority, he would be far better positioned to help counter the Democratic majority’s excesses from the White House than in the legislature. Most importantly, the President has come to like and trust Mr. Meadows as a brilliant, politically astute and reliable ally – a combination of qualities that is in very short-supply in official Washington these days. Mr. Trump – and the nation – would be exceedingly well-served by a White House Chief of Staff Mark Meadows.